The memo, which you can read in full below, outlines T-Mobile's initiative to stop people from running p2p file sharing apps (presumably torrents) on its LTE network. Basically, if you're running torrents, T-Mobile will contact you to issue a warning. A notation on the account will mark you as a potential troublemaker. If the warning is ignored, the throttling begins. A second note on the account ensures reps will know what to tell people who call to complain about the slower speeds (presumably "lol deal with it" is the official response). Anyone on the grandfathered $70 unlimited plan or the new $80 Simple Choice unlimited plan is a potential target of this change. Here's the full text of the memo. It's never fun to have a carrier tell you what you can and can't do with your data, but in this case it does explicitly go against the terms and conditions. 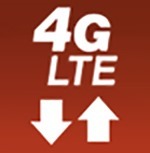 Most carriers have similar clauses because unlike regular HTTP traffic, torrents can saturate a network connection almost instantly and for long periods of time. 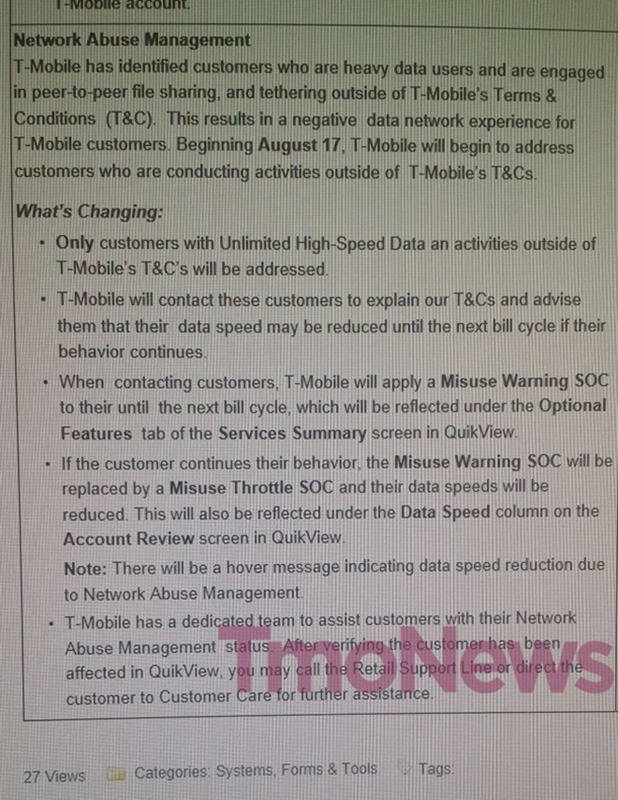 T-Mobile claims this can negatively impact other users in the same area, hence the crackdown. Note, this doesn't just affect torrent apps on the phone. A desktop torrent client that is passing data over a tethered connection could get you in hot water too. I assume that's why tethering is specifically mentioned in the memo. Now might be a good time to clean up your act if you've been torrenting up a storm on T-Mobile's towers.